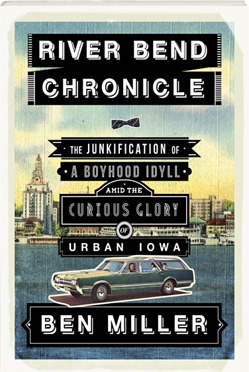 Ben Miller’s memoir-in-essays, River Bend Chronicle: The Junkification of a Boyhood Idyll amid the Curious Glory of Urban Iowa was published by Lookout in 2013. 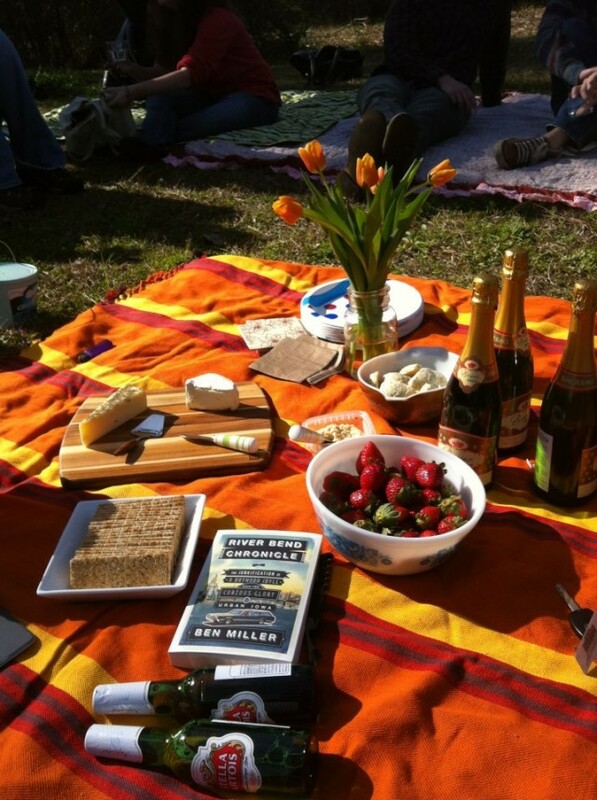 He sent us this update about life after his Radcliffe Fellowship and a cross-country move for our regular department On Location, where writers share a picture of a meaningful place. 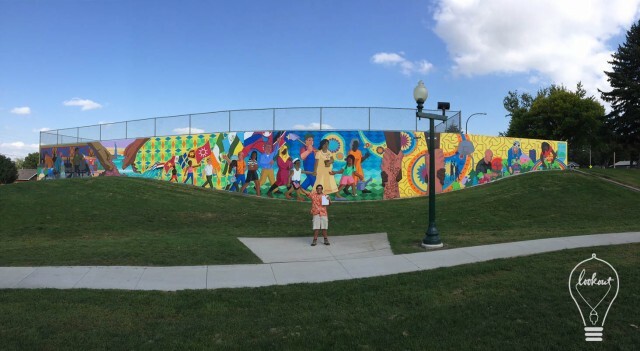 After completing my fellowship year at the Radcliffe Institute in May, I made a spinning leap from Cambridge to Sioux Falls, South Dakota, and landed on my feet in front of the celebratory mural in Meldrum Park created in 2013 by artist Dave Loewenstein and the children of the Whittier Neighborhood. Squeezed in my left hand is a manuscript containing the sixty-one new translations of William Carlos Williams’s “The Red Wheelbarrow” that I gathered over the last year from generous poets around the globe. It is my dream to hold a park reading at which this tiny poem of vast vision will be delivered in each of the 143 languages currently spoken in homes in Sioux Falls. Any translator interested in participating, please e-mail me at [email protected]! I am in particular need of translations of the poem in African and Asian languages. Ben Miller is the author of River Bend Chronicle: the Junkification of a Boyhood Idyll amid the Curious Glory of Urban Iowa. His prose is forthcoming in the New England Review and the St. Petersburg Review. His awards include fellowships from the NEA and the Radcliffe Institute for Advanced Study at Harvard. On October 17 in Hooksett, New Hampshire, he will be presenting shrub-based polyphony in front of the New England chapter of the International Lilac Society. Selected works from his ongoing collaboration with the painter Dale Williams can be seen very soon in Brooklyn. 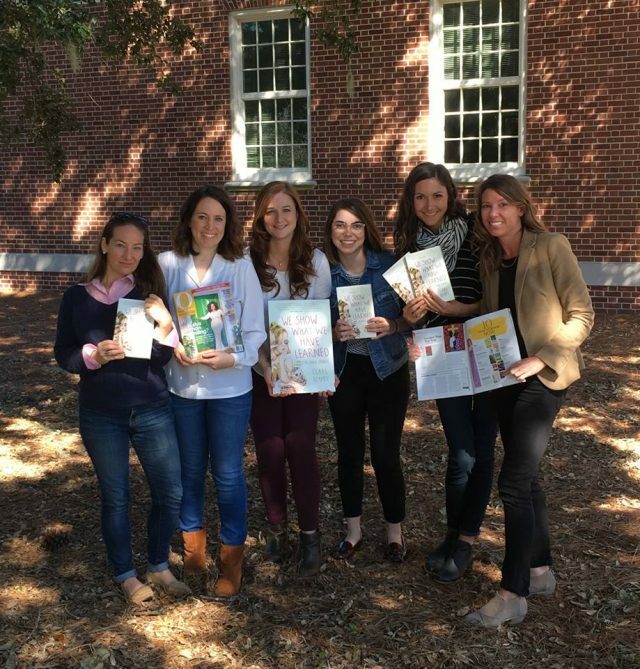 UNCW is back in session, and so is our weekly Lit News Roundup. 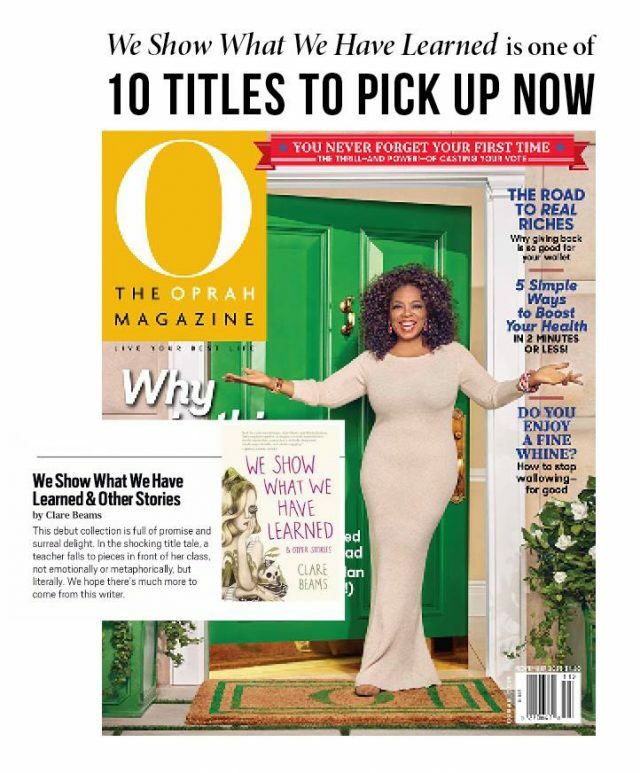 We hope that our readers had a wonderful and restful holiday season. 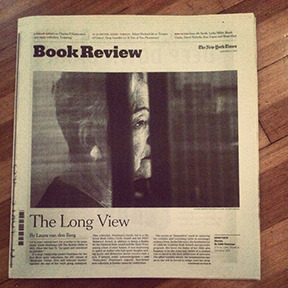 In case you missed the cover of the Sunday Book Review on January 4, it featured a stunning review by Laura van den Berg of Honeydew (Little, Brown), the new collection by Lookout’s debut author, Edith Pearlman (Binocular Vision). A profile of Mrs. Pearlman, written by another Lookout author, Steve Almond, also appeared in the Times and chronicles her writing and publishing background, leading to her “commercial breakthrough at seventy-eight, after five decades of writing short stories, some 200 of them, nearly all appearing in small literary magazines.” The profile includes a quote by Lookout co-founder and former editor Ben George. 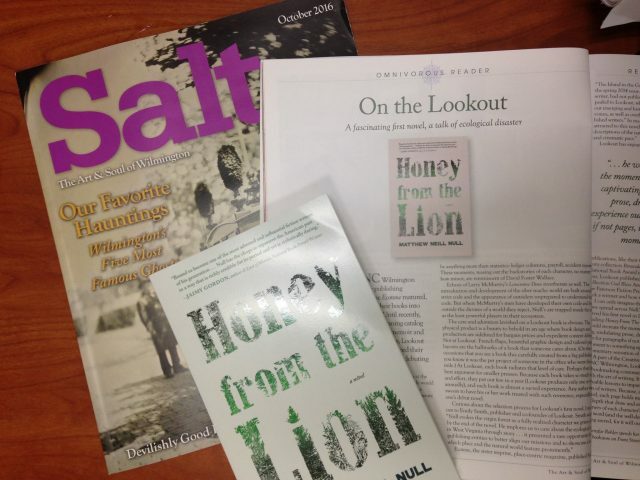 As always in our weekly Lit News, we round up the headlines and vital discussions in literature and publishing arts, and also announce Lookout and Ecotone author kudos. Emma Straub suggested “Ten Books To Read If You’re Not Traveling This Summer” for Publishers Weekly and included at #3 Arcadia by Lauren Groff, who has a story in Astoria to Zion. More than dudes in tights or self-indulgent autobiography: at the Los Angeles Review of Books, Anne Elizabeth Moore considers journalistic nonfiction comics from California, Iceland, and Japan. 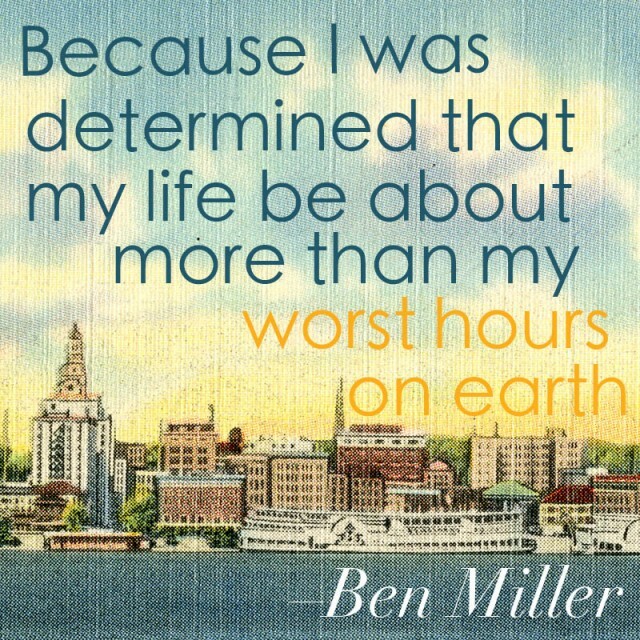 Ben Miller, author of last year’s debut memoir in essays, River Bend Chronicle, has been selected as one of Radcliffe’s 2014–15 fellows and will have a year at Harvard’s institute for advanced study to shape a manuscript extending his investigation of the urban Midwest. Congratulations, Ben! 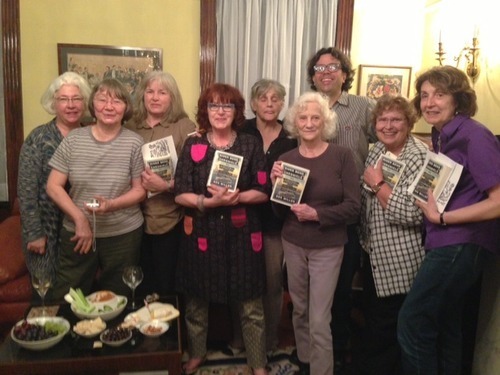 Last night at One Story’s annual Literary Debutante Ball in Brooklyn, two Ecotone contributors made their book debuts. 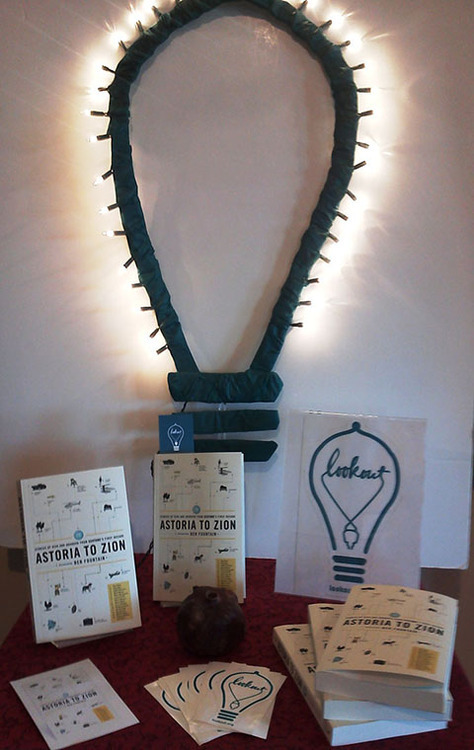 Congrats to Molly Antopol, author of The UnAmericans, and Ben Stroud, author of Byzantium. We hope you both did it up last night!